The Yorkshire Terrier breed–Yorkies for short–originated in, quite obviously, Yorkshire. When England underwent the industrial revolution, people from all different regions migrated to Yorkshire for work (particularly in the coal mines). One such group were the Scottish, and they brought with them a couple variations of the Terrier. It’s said these Terriers were used to hunt rats in the mills. However, these original Terriers are said to be nearly double the size of the Yorkshire Terrier breed we know today, and also more prey-oriented as well. In the middle of the 19th century, with all sorts of Terriers being crossbred, one little guy by the name of Huddersfield Ben grew in popularity around the show circuits and was later bred to other Terriers. Huddersfield Ben is said to be the father of the modern Yorkshire Terrier. As the Breed began to shrink in size, they became more like toy dogs rather than utilities for the workers. They were then exported to the US in the late 19th century, where they immediately gained popularity for being posh, proper, and elegant. This rapid rise in popularity contributed to the AKC recognizing the dog before it even had a true presence in the states; this occurred in 1885. A Yorkie is a lot of dog in a little body. They suffer from little-dog-syndrome, meaning they think they’re a lot bigger than they really are. A cross between the loving home dog and the sassy Terrier, these little dogs have dynamic personalities. In fact, they vary to the point that they’re one of the few breeds hard to generalize. Some have an pompous and arrogant personality, demonstrating aggression towards others and jealousy of their owner. Others have very proud personalities, but are overtly affectionate and want to give love and receive it all the same. Of course, early socialization and puppy classes greatly diminish the chances that they develop a negative personality and temperament, but these dogs really are the pick of the litter. Predominantly possessing outgoing personality traits, the Yorkie is both social and high-energy. They’ll often love to meet others and remain full of ‘life-enthusiasm.’ Or they’ll be grouchy, aggressive, and introverted. A bit of research will prove the point we’re making; the personality of a Yorkie is inconsistent. The Yorkie is a stubborn animal that–although pampered–will still rebel against their training. They’re notoriously difficult to housebreak, can often reject their training, and are incredibly fickle. Since they’re a toy breed, when training them the owner needs to find the fine line between being their protector but also allowing them to breathe as individuals. If this line is crossed in one way or another, they’ll either be entirely dignified with no regard for rules, or scared of the world and neurotic. Puppy classes and early socialization are a must for this breed. Start them early and be consistent about it. When they make mistakes in the house, despite how dismal those might be (these dogs are puny), enforce discipline or they will continue to exhibit behavior problems. But always be wary that the Yorkie takes fully to their owner, and the punishment system will often break their confidence. That’s why positive reinforcement for good Yorkshire Terrier behavior works best with this toy breed. They’ll need time for exercise and to move their bodies, but these are purely home dogs. They should always live indoors. They need stimulation too. They often receive it by learning tricks, playing with toys (they love the squeaky ones), and trying to follow along with their training. Their attention span is short, so make your ‘training lessons’ quick. Yorkshire Terrier’s need two different forms of exercise; moderate and active. In moderate exercise, they should be taken for a brisk walk somewhere around 20-30 minutes per day. Note that they won’t be able to keep up very well, and prefer to walk at their own speed. These are small dogs with stubby legs, you can’t expect them to be vigorously active. The second is active exercise, in which they should be allowed to run around a yard. A preferred method is to play games with them, or chase them around, or anything to simply ‘get the blood flowing.’ Be warned, however, as these dogs overheat easily and you don’t want to overwork their tiny frames. As stated before, Yorkshire Terrier’s don’t need much exercise nor are they prone to obesity. That doesn’t mean they should be couch potatoes, but in the activity department they’re low maintenance. A Yorkshire Terrier lifespan typically lives anywhere from 13-16 years. The Yorkshire Terrier is 9th on the AKC’s most popular list of 155 registered dog breeds. They’re an amazing dog for apartments and condos, easy to manage, and love to be with people. Their popularity has only grown in presence since they were first introduced in the late 19th century, and it continues to grow today. While they’re not the best with kids, if they’re introduced early on, usually the problem can be solved. The recommended amount to feed a Yorkie is anywhere from ½-1 cup per day of high-quality dry food, split into two even meals. Do note, these dogs can be sensitive to their food and will often need a few brands before choosing one they enjoy. They’re fickle by nature, and it can translate to the way they eat. As with all dogs, age, metabolism, weight, and activity level are all important Yorkshire Terrier characteristics that need to be considered when administering a balanced diet. You won’t need to worry about a Yorkie being glutinous about their food, as often they undereat, but it’s important you consider all the factors when feeding them. The Yorkshire Terrier is famous for its coat. A show dog through and through, the ones that are professionally groomed often have coats that reach the floor. However, they’re generally long-haired, silky, and devoid of any curling (this is why they require grooming). Their coats are single-coats, meaning they don’t fair well in the hot or cold. It’s one of the main factors that contributes to the necessity of them living indoors. Yorkies come in an assortment of different colors, from blue-steel to stone-grey, and usually with tan legs, bellies, and faces. An odd occurrence with this breed, they usually lighten in color (due to hormonal changes) the older they grow. Grooming them is no easy task. They’ll need to be brushed daily to keep their coats silky and without any matting. Often it’s recommended to hire a professional groomer that has worked specifically with the breed to ensure their coat reaches its full potential. If you don’t want to invest the money in that solution, do note there will be a fair amount of work on your hands. Yorkies have bad teeth. Some say they develop with little enamel, others attribute it to their likeliness to chew on things. Point is, they often fall out. To ensure optimal Yorkshire Terrier health, it’s especially important to brush their teeth 2-3 times a week to avoid bacteria or tartar buildup. As well, a professional cleaning should be done annually. This, of course, takes precedence over the coat. Trim their nails monthly, as they won’t wear down naturally. Check their ears, mouths, eyes, and ears for anything suspicious (redness, irritation, inflammation, rashes, infection, parasites). Know that Yorkies often don’t like to be touched, making it important to introduce these check-ups and grooming sessions in the beginning of their puppy years. Are Yorkshire Terriers Good with Children? Yorkies should not be introduced into a home with young children. While children around the ages of six and above are okay–not fantastic either–but can be suitable if introduced early enough and both sides taught boundaries, respect, and the way to properly interact. Thing is, these dogs are too small. A child could break them with one simple accident. Just as well they tend to be aggressive if they feel that their sense of security is threatened, and will bite. The wrath of a terrier is not a pretty one. Patellar Luxation: this condition occurs when there’s an abnormality in the alignment of the patella. In short, the kneecap will constantly dislocate, causing severe pain, difficulty walking, an abnormal gait, and at times lameness in the leg(s). There are four different grades of the condition, each with their own severity. Despite, there are treatments for this condition and they’re often successful. Progressive Retinal Atrophy (PRA): this degenerative eye disease occurs when the photoreceptors at the back of the eye begin to fail. At first, it causes night blindness, and then eventually a total loss of eyesight. Fortunately, PRA can be diagnosed well before complete blindness, allowing time for both the owner and dog to adjust for blindness. Portosystemic Shunt (PSS): this condition occurs when there’s abnormal blood flow between the liver and the rest of the body. The liver is predominantly responsible for detoxing the body and regulating metabolism. With that impaired, an array of problems and symptoms develop. This condition can usually be cured or at least mitigated with dietary changes. There is also medication available for it. Hypoglycemia: a common condition that afflicts small dogs, this occurs when the canine experiences lower than usual blood sugar. The symptoms include neuroticism, confusion, weakness, and dog-seizure-like behavior. There are different treatments and medication available for this condition, and usually, it’s not life-threatening. He tore his left hind leg ACL 2 years ago. It noticeably reduced his anxiety and he sleeps better when taking his Canna pet. I have been using CBD oil for them over the last 6 months. I have fallen in love with your Canna Treats. Herky has been seizure free for 7 months as he continues to take his daily capsule. 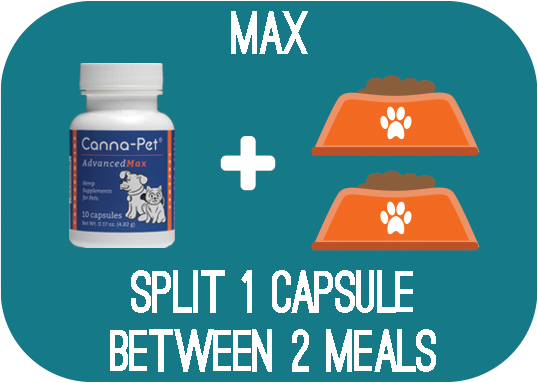 We are so thankful for the opportunity to have learned about Canna-Pet. No side effects + minimal to no seizures =’s happy fur parents. This product has helped with the seizures, the trachea problem and I think any pain associated with the tumor!!! I tell every dog owner that I meet about Canna-Pet. This has been life saving for him. No matter how much it rained or thundered, and he never showed one sign of anxiety.